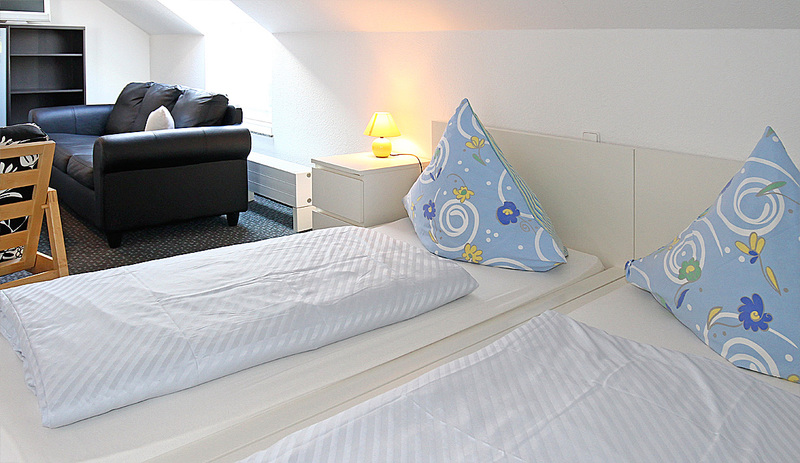 We offer a low-cost alternative to hotel accommodation to you, your business partners, colleagues or customers – for transitional periods or for long-term stays. 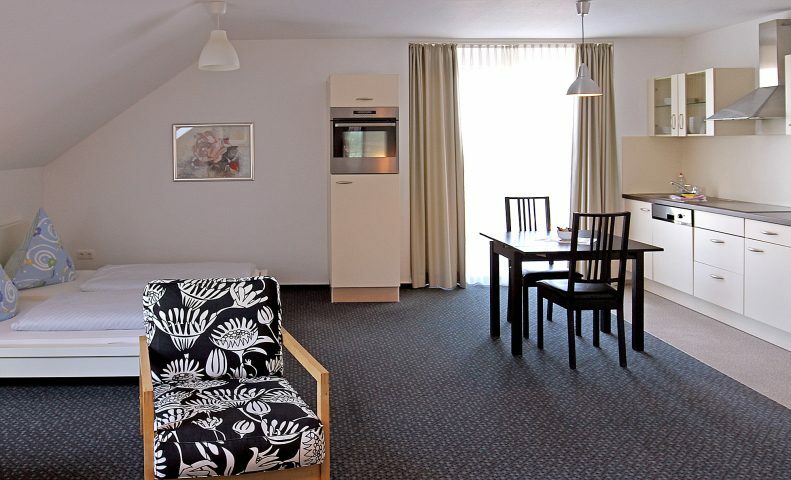 The apartment hotel offers 9 comfortably furnished studio apartments with areas of between 34 and 44 m². 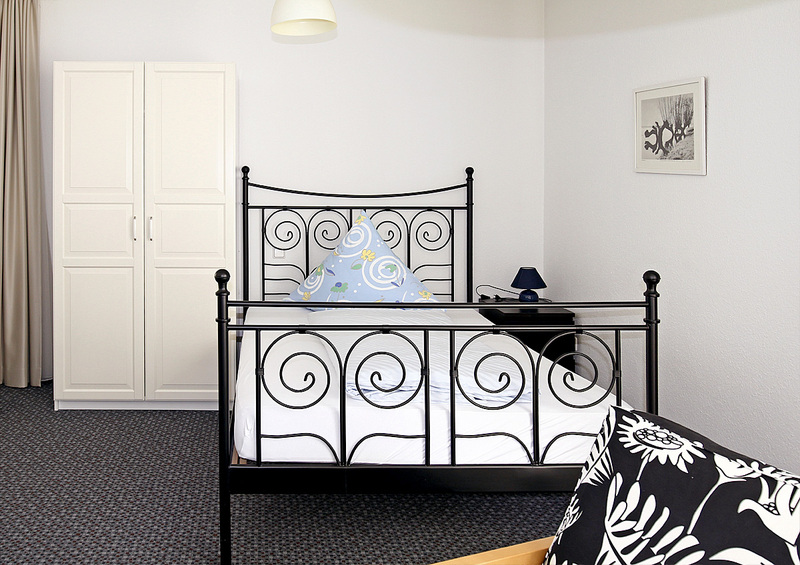 3 of the 9 studio apartments are furnished with 2 single beds each. Apart from bed and wardrobes, all the apartments include a fitted kitchenette with cooker, fridge and microwave oven, a three-piece suite, LCD TV, and a desk. 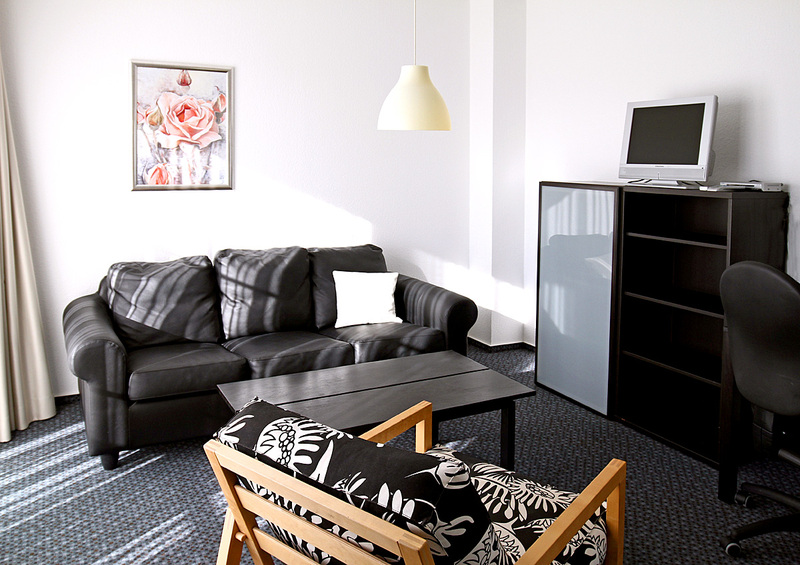 Internet and phone are available to you in all rooms at a flat rate. 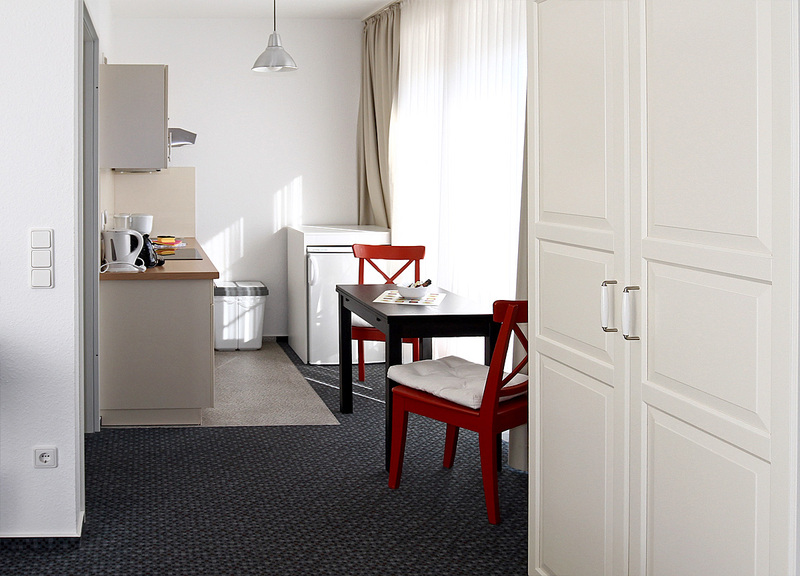 The studio apartments are bright and cheerful, exclusively furnished, and are equipped with modern, spacious bathrooms. A generously proportioned balcony for each of the studio apartments rounds off the picture. The city centre is within easy reach of just 1 km from the apartment hotel.